Insider insights and added perspectives on the people, places. 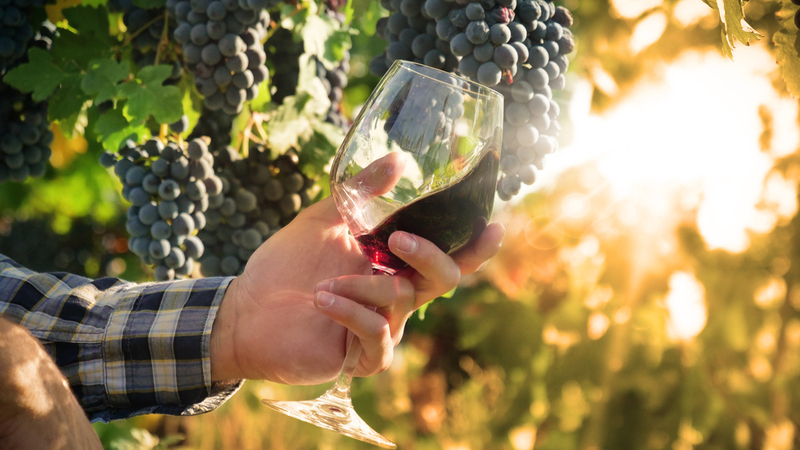 . . and (of course), wines, that make Portland Wine Week a can't-miss summer festival! Keep checking back here for new stories. In his June 18 tasting seminar, Expensive Wines and Their Designer Imposters, Madrigale, an acclaimed New York sommelier who has built his reputation on democratizing wine, will be pairing wines from well-known regions with those that, while similar in taste, sell at a much lower price point, to challenge the notion that you need to spend money on a famous wine region to get an exceptional product. 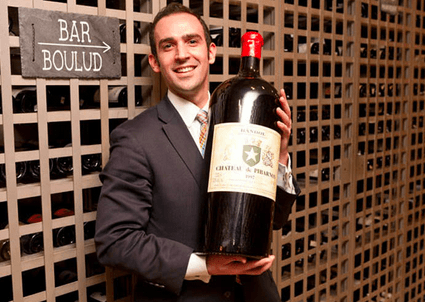 Madrigale is so passionate about promoting lesser-known regions and vineyards that he’s starting a new business around this idea: grandecuveewine.com, a website that will showcase a new wine every day. “Everybody has the opportunity to buy something great,” he says, “and it doesn't have to say Brunello di Montalcino or Sancerre. Sure, we’ll offer wines from those regions, from France and from Italy, but we're also going to have wines from all over the world. Expensive Wines and Their Designer Imposters will be held on Monday, June 18 from 2-4pm at the Cumberland Club, 116 High Street, Portland. Tracy will introduce Channing Daughters’ deliciousness at one of Portland Wine Week’s not-to-be-missed events: an intimate, five-course Library Vintage Dinner with the James Beard Award-winning chefs at Hugo’s on June 19. 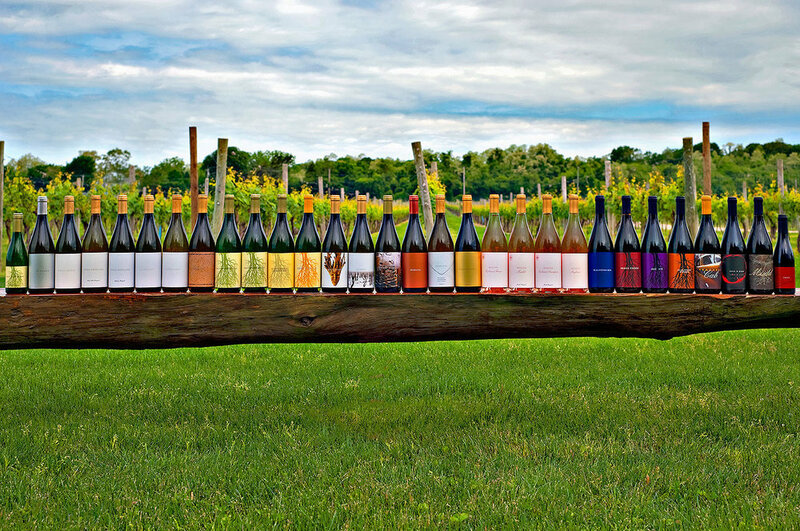 Recognized for their reds, Channing Daughters is even better known for their extraordinary and unusual selection of whites—around a dozen varieties every year. “Some are meant to be fresh and delicious, and consumed in their first couple of years of life,” says Tracy, “while others are more complex, richer, and have a much longer life ahead of them—five, eight, 12, even 20 years.” And we’re not just talking about whites and pinks, as they like to refer to them on their website, but also oranges. While Tracy admits that the average wine consumer these days tends to treat white wines less seriously than reds, he’s quick to point out that that hasn’t always been the case. “The pendulum swings back and forth,” he says. “For a long time, white wines were considered superior, by far, way above red wines. If you go back a few hundred years, whites like German Rieslings were sought after more than anything else; now you can't get people to pay more than $20 a bottle for it.” At both the x tasting and y-course, wine-pairing dinner at Hugo’s—Tracy’s favorite Portland restaurant—the winemaker hopes to help swing the pendulum back in the direction of whites. What does it mean for a wine to be “natural”? And how is that different from a wine that’s “organic”? These and other questions will be answered at Portland Wine Week’s eye-opening tasting seminar/panel discussion on June 19, What, really, is a “natural” wine? If you’re tipsy with delight from Portland Wine Week’s myriad offerings—everything from classes and lectures to tastings and food pairings with some of the city’s best restaurants—the spectacular closing gala is sure to leave you flying high! Along with five delectable courses prepared by five of Portland’s most renowned chefs and paired with an exceptional selection of sommelier-chosen wines, the gala dinner, which benefits the Preble Street Teen Center, will feature “cirque” aerial performances that will surely leave your head spinning in the best possible way. In fact, after seeing this beautiful and balletic art form, you may feel compelled to try it yourself. While these amazing aerialists won’t be able to partake in the wonderful wines being featured at the gala—“no wine tasting before I perform!” jokes Hill—they do enjoy sipping a glass during their “down” time. “I like dry red wines,” Hill says. “My favorite at the moment is Tempranillo.” McGovern also gravitates towards dry reds. “I often go for Malbec, Cabernet, or Tempranillo,” she says. After all that gasp-inducing work in mid-air, who can blame them for choosing earthy wines? Portland Wine Week’s gala wine dinner will be held on Sunday, June 24, from 4:00-7:00 PM at O'Maine Studios, 54 Danforth Street, Portland. Tickets are $150, all-inclusive, with proceeds to benefit the Preble Street Teen Center.